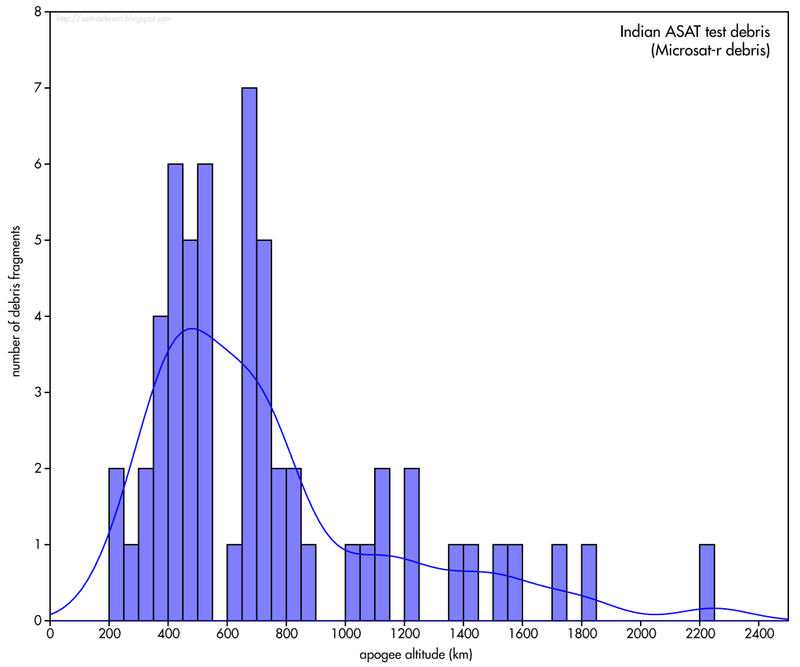 Today the first 57 orbital element sets for Microsat-r debris, debris from the Indian ASAT test on March 27, appeared on CSpOC's data-portal Space-Track (I have posted on aspects of this Indian ASAT test earlier: here, here and here). They have catalogue numbers 44117 - 44173. The analysis below is based on these orbital element sets.The elements confirm what we already knew: that Microsat-r (2019-006A) was the target of the ASAT test. 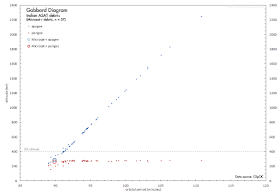 Again, it is well visible that a large number of the 57 fragments (80% actually) have apogee altitudes above the orbit of the ISS, well into the altitude range of operational satellites. This again shows (see an earlier post) that even low-altitude ASAT tests on orbiting objects, creates debris that reaches (much) higher altitudes. 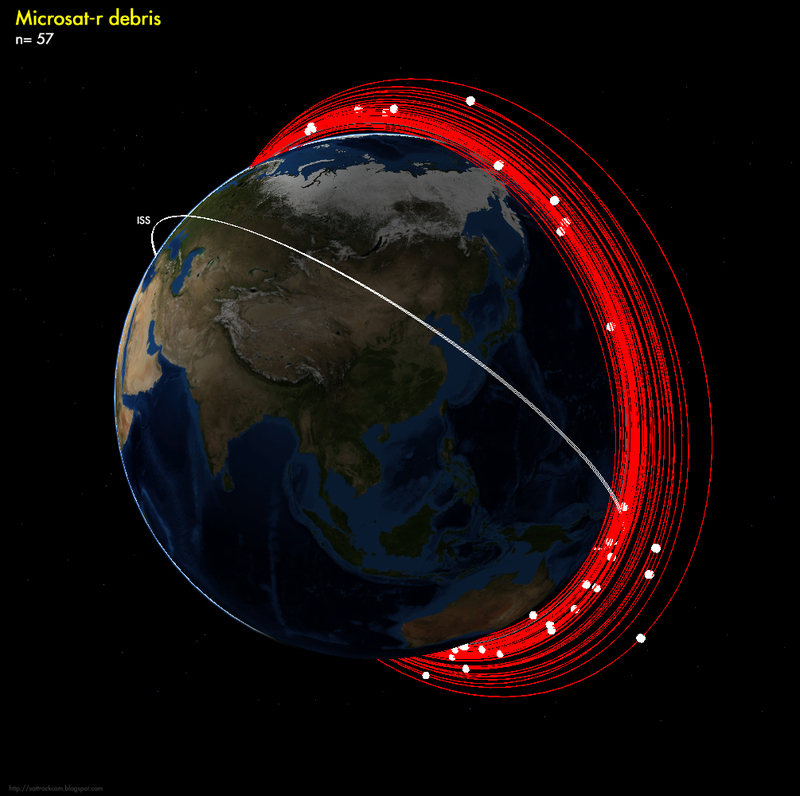 The highest apogee amongst the 57 debris pieces is that of 2019-006AR at 2248 km. 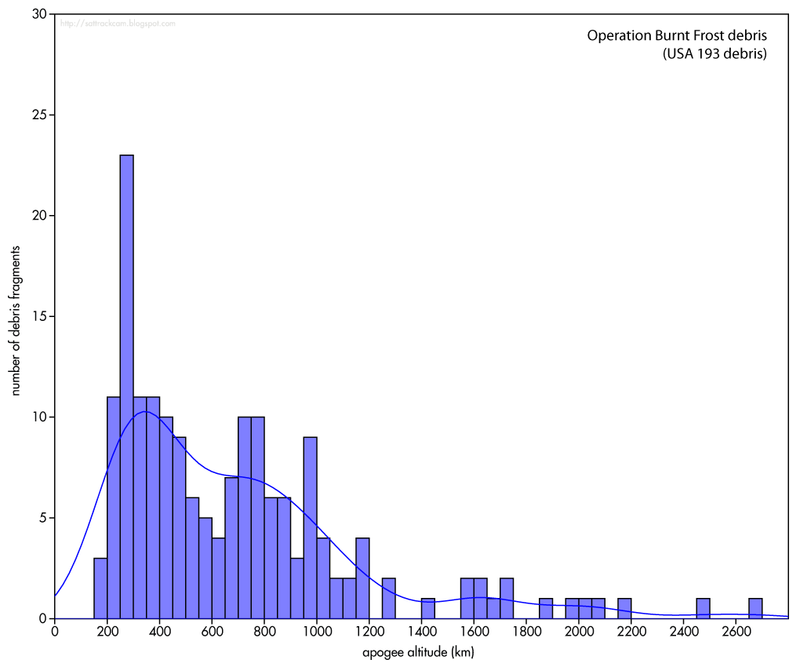 The Operation Burnt Frost debris distribution peaked at a somewhat lower apogee altitude, ~250 km (the same orbital altitude as the target, USA 193) while the peak of the Indian ASAT debris apogee distribution is higher, ~400-500 km (there could however be detector bias involved here). 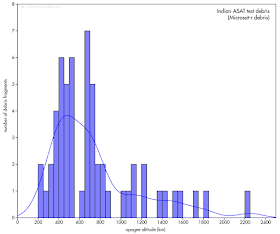 It is interesting to note that both distributions appear to be double-peaked, both having a secondary peak near 700-800 km. 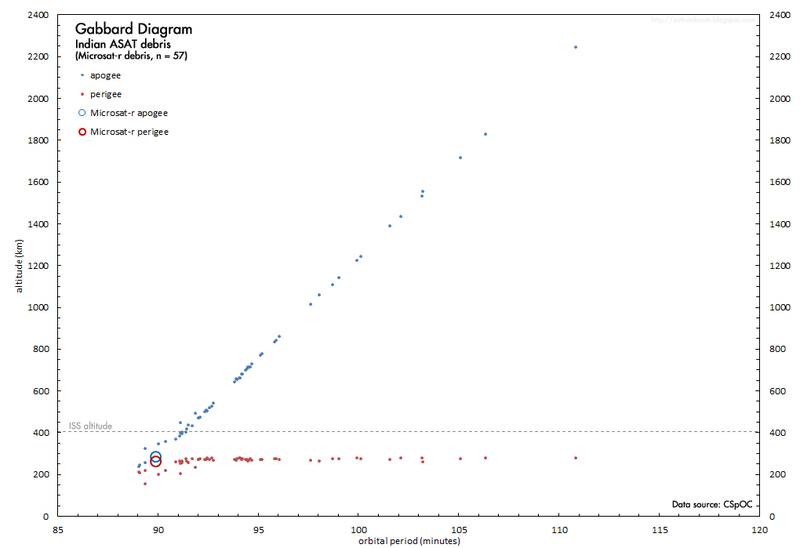 I remain cautious however, as that could be due to detector bias. 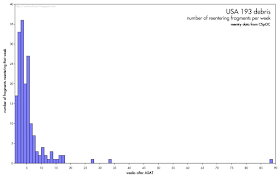 Overall, the two distributions are similar, as I already expected. The question now is, how long this debris will survive. 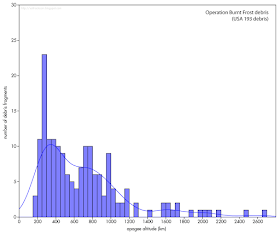 To gain some insight into the expected lifetimes, I used Alan Pickup's SatEvo software to make a reentry forecast for the debris fragments. 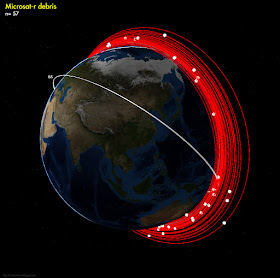 It suggests that most of the debris will stay on orbit for several weeks to months: by half a year from now, most of it should be gone however, except for a few lingering pieces. Note that this forecast should be taken with some caution: it assumes a constant solar activity at the current level, and takes the NDOT values of the element sets face value.